Researchers at the Indiana University School of Medicine conducted a multi-year study which showed conclusive behavioral and molecular benefits when omega 3 fatty acids were given to mice with bipolar disorder. 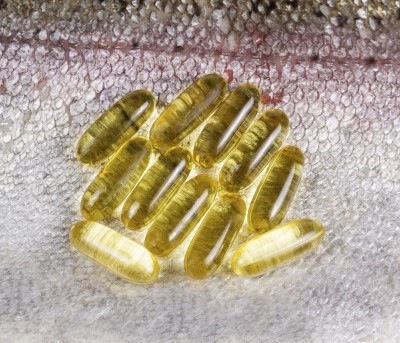 The fatty acid DHA (docosahexaenoic acid) , which is one of the main active ingredients in fish oil, "normalized their behavior," according to Alexander B. Niculescu, M.D., Ph.D., associate professor of psychiatry and the lead author of the study. Oily fish, such as mackerel, herring, salmon , trout and sardines, are the richest dietary source, containing 10 to 100 times more DHA than vegetarian sources such as nuts, seeds, flax seeds , whole grains and dark green, leafy vegetables. This laboratory research is consistent with the work of Dr. Andrew L. Stoll with human patients suffering from depression and bi-polar disorder. For more information on his research as well as his anti-depression diet and brain program, see his book, "The Omega-3 Connection ." This page contains a single entry by sal published on April 24, 2013 12:54 PM. 7 Ways To Prevent and Even Reverse Heart Disease With Nutrition was the previous entry in this blog. Shocking Vaccine Testimony to U.S. Government is the next entry in this blog.